Canton is perfect for festivals and offers great opportunities to enjoy the arts. There are many events, festivals and community gatherings going on year round. While you are in the Canton area, be sure to stop by Horizon at Laurel Canyon and tour the available homes. Lot Homesite 11 |$488,815 |3 BR, 2 full & 1 half BA| Lot 11 Cambridge D, | Slab-Cul de sac lot,large screened Patio at the 17th fairway. Covered front porch with flagstone finish. 3rd car garage with attic storage. Family room with stone to ceiling wrapped fireplace,cedar mantle & hardwood floors.Chefs kitchen has a double oven, gas cooktop, island microwave, stainless steel vent hood,looks over the Family room. Hardwood floors in the following areas, Foyer, Powder, Kitchen, Breakfast Area, Dining & Family, Butlers Pantry. Despite the ups and downs of 2018, home purchases are projected to increase in 2019. January is a great month to choose an existing home or build a new home at The Horizon at Laurel Canyon in Canton. Interest rates are projected to increase steadily throughout 2019, but buyers will still be able to lock in a rate lower then previous interest rates over the did when they bought their homes! 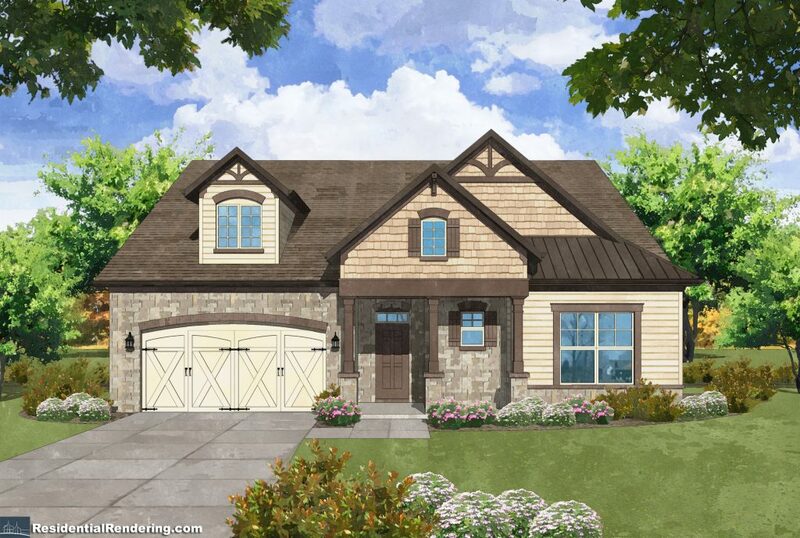 Lot Homesite 57 |$533,826 |3 BR, 3 full BA – To be built. One of the reasons The Fullerton is popular is because it has no formal dining room & has a tray ceiling gallery to show off your pictures/paintings. Family Room with open kitchen and large work island & breakfast bar. Laundry room opens into one of the master closets. Think of how much easier laundry day will be. Homesite with beautiful woods behind & mountain views being taken advantage of with a back screened porch & additional deck space. Lots of upgrades such as microwave drawer. Based in Orlando, Florida, what began quite literally as a street corner barbershop act, has now evolved into an internationally acclaimed touring sensation. VoicePlay has taken the timeless sound of vocal music and turned it on its head. Re-imagined as a full stage show with amazing, vertigo-inducing harmonies that pepper VoicePlay’s music as it ping-pongs between eras and styles, lacing it with inventive and often hilarious on-stage theatrics. Fit for all ages, VoicePlay’s recordings and concerts are an impossible-to-miss hit, which have to be heard to be believed. Homebuyers searching for that perfect home must also look at the area in which the home is located. Laurel Canyon in the Canton area is a fantastic and scenic area plus you have the very close proximity of Reinhardt University with all the events and special happenings that go on year round. In September, Falany Performing Arts Center presents exciting music venues to enjoy for the entire month. The Gina Clowes Project is on 09/07/2018 at: 7:30 PM – With a stamp from Bluegrass Today as “absurdly talented,” her new album, “True Colors,” touts two chart toppers. Who doesn’t love the sounds of The Drifters? Two shows on 09/15/2018 at: 3:00 PM and one at 7:30 PM – One of Rock & Roll’s founding vocal groups is once again touring the U.S. under the auspices of their original management team. Tribute to the King: Gospel & Hits featuring Travis LeDoyt is happening on 09/23/2018 at: 3:00 PM – Travis flawlessly captures the essence of Elvis in his prime, and restricts his shows to the hits and ambience of 1954-1964. 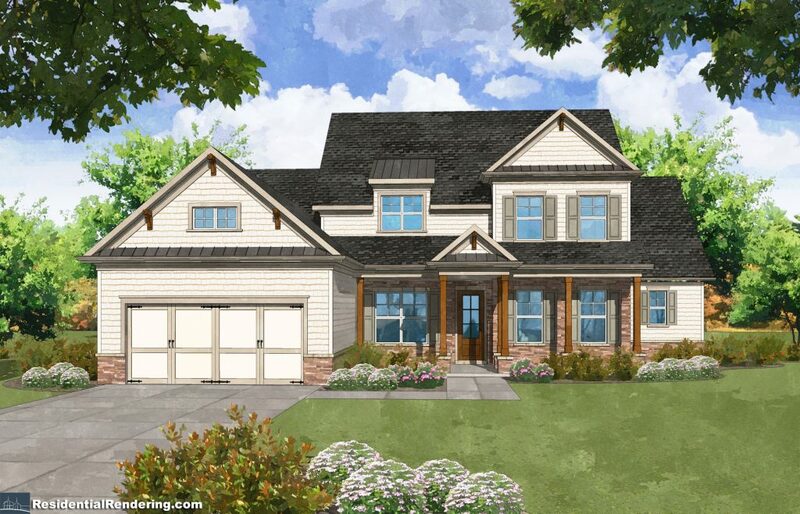 Lot Homesite 8 | $587,025 |4 BR, 3 full & 1 half BA -Cul-de-sac lot for the York E Plan. Family Room with stone to ceiling fireplace. A “moving wall of glass” opens to large screened back porch & uncovered deck facing golf course at Fairway 16, plus many acres of woods. A flex rm ideal for priv study. Master suite with sitting area facing golf. Upstairs loft & 3 bedroom & 2 baths. Many upgrades, such as hardwood floors in master bedroom have been added. Although it is well known that Georgia has become the new “Hollywood”, it may surprise you that the Horizon at Laurel Canyon was chosen by Caterpillar to shoot one of their latest big machine commercials because of their awesome views! Lots of excitement for the locals as the crew setup their tents and spent the day at Horizon at Laurel Canyon. Stay tuned for pictures! Beautiful mountain views are just the beginning of what this amazing new home community has to offer its new homeowners. The lifestyle in Canton is peaceful, yet convenient to Atlanta. Nestled at the foothills of the Blue Ridge Mountains, it offers golf, a clubhouse, pool, tennis and more. Spend the day meandering in the shops of downtown Canton or take a drive north to Ellijay, Jasper or Blue Ridge for a festival or getaway. They have just started two new homes , the Fullerton and the York with a master on main. 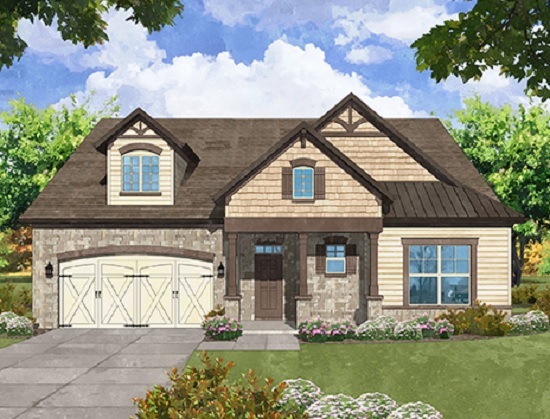 There is currently one move-in ready home on lot nine. This community has sold twenty-four homes in Phase I since opening and has just celebrated its one year anniversary on March 4th. Priced from the $300’s, Horizon at Laurel Canyon highest priced new home sold for over $900,000. The Fullerton -Lot Homesite 57 | $533,826 | 3 BR, 3 full BA |To be built. This popular plan features a trey ceiling gallery to showcase your pictures and paintings. The family room with open kitchen & large work island with breakfast bar. Laundry room opens into one of the master closets. Think of how much easier laundry day will be. 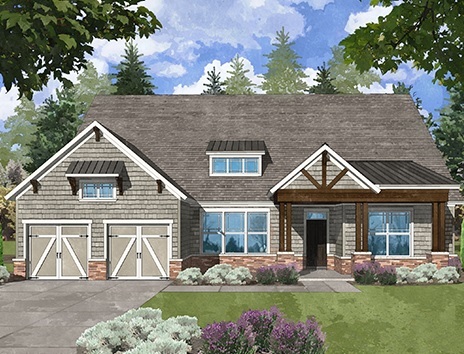 Homesite features woods behind & mountain views which you can enjoy with the back screened porch & additional deck space. Lots of upgrades such as microwave drawer.